SharePoint is massive, and while it is definitely user-friendly, it is necessary to know the right way of using it, in order to properly utilize the powerful features offered by the platform. Here, we have compiled two 5 point lists of what to do and what absolutely not to do, for both admins and end users, in a cool infographic. 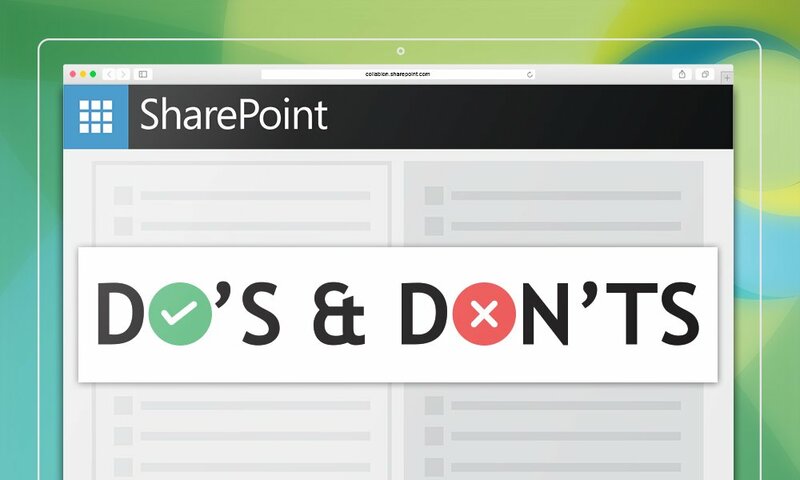 So, there you have it – 5 Do’s and 5 Don’ts that can help users gain maximum benefits from SharePoint. Is there something you can think of, which isn’t present in the infographic? Share it with us in the comments below. Also, if you are looking for an enterprise grade SharePoint chart web part that is free to use and also user-friendly, do check out our flagship product, Collabion Charts for SharePoint.